Daily Billboard simply adores these fun new billboards for Disneyland's newly expanded California Adventure Park. 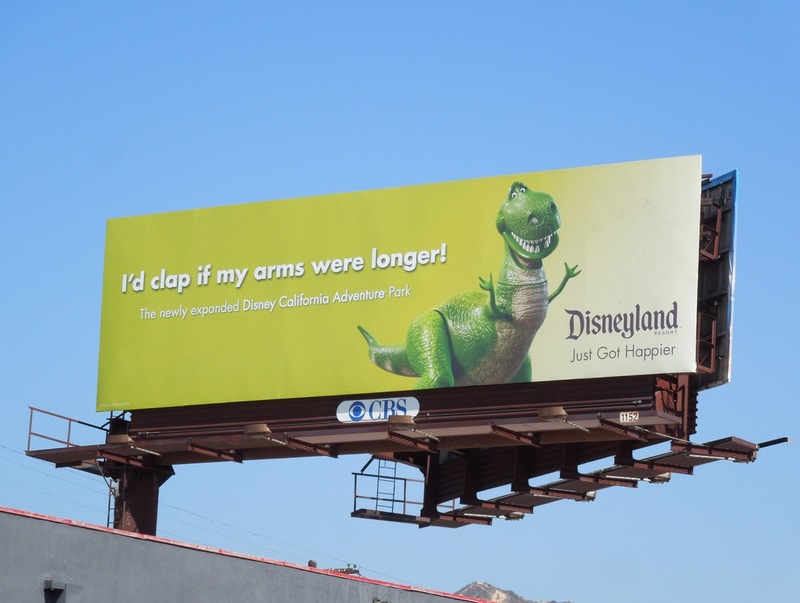 Each ad rather cleverly tailors the copy for each recognisable Disney character. 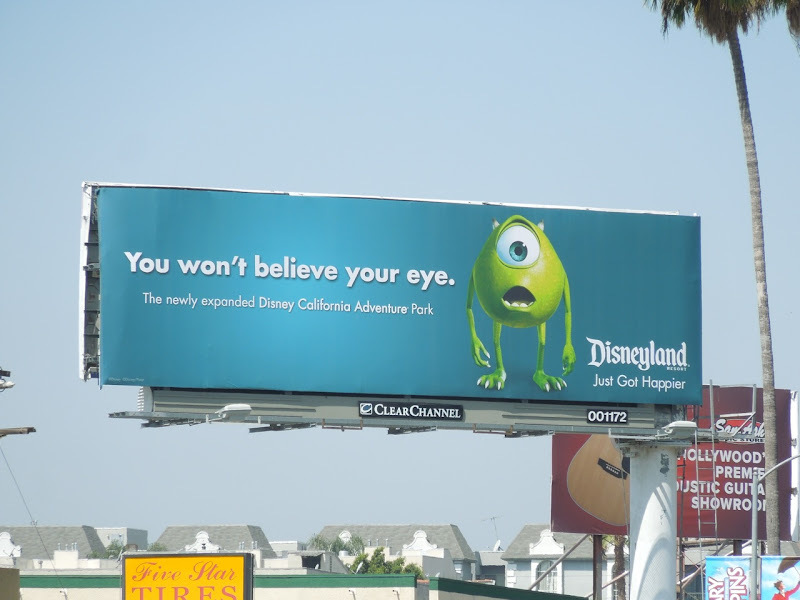 So for 'Buzz Lightyear' the tagline utilises a twist on his trademark catchphrase resulting in 'To happiness and beyond', his fellow Toy Story star 'Rex' billboard references his short Tyrannosaurus Rex arms and the Monsters Inc. 'Mike Wazowski' creative naturally focuses on his one big eye. 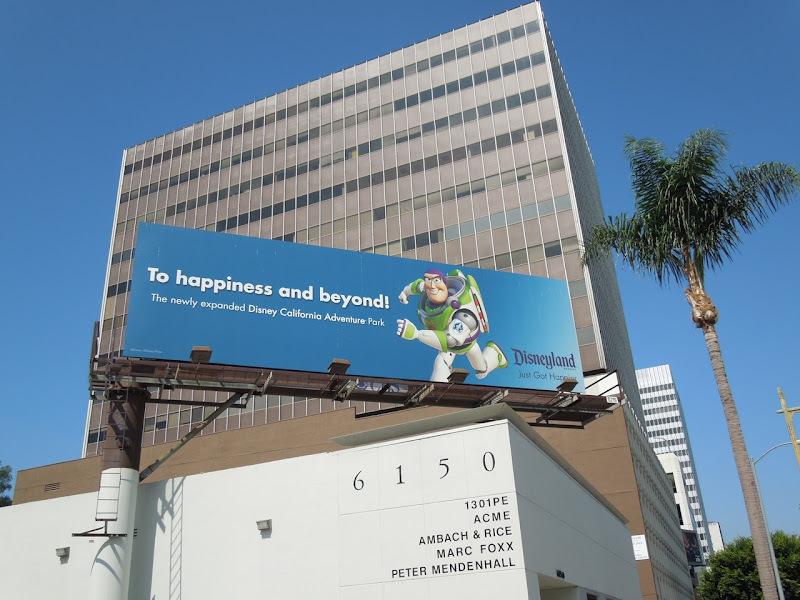 You may also think that this ad campaign for the famous theme park only features Disney/Pixar characters, but Daily Billboard has also seen (but didn't get a chance to capture) a creative starring Snow White and the Seven Dwarves 'Grumpy' around the streets of San Francisco. 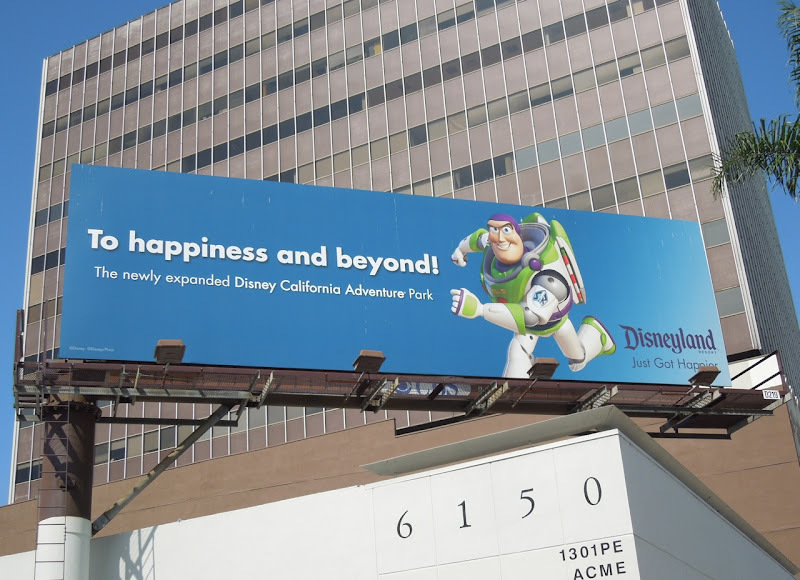 If you like these creatives and are a Disney fan, be sure to also enjoy these World of Color attraction billboards starring Buzz and the Finding Nemo characters, plus the recent Cars Land billboards and because it's not that far off, these Disneyland Halloween Time billboards. 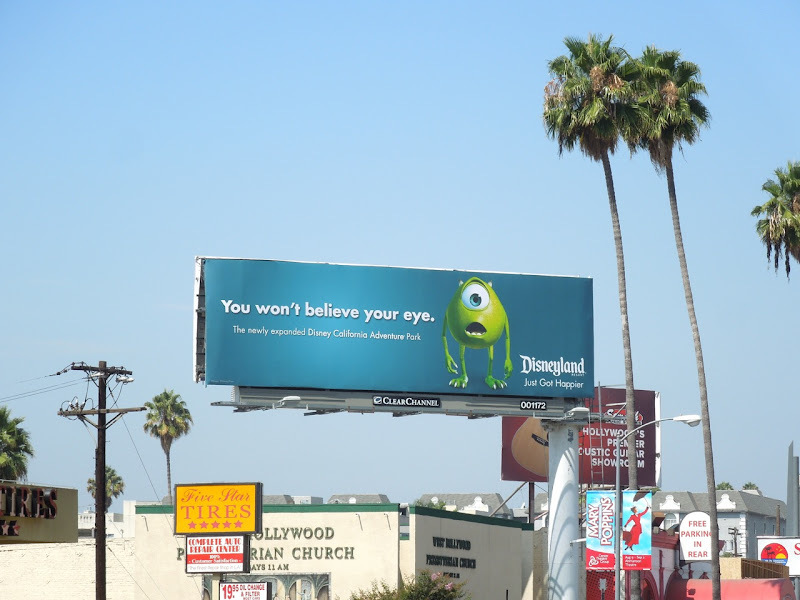 The Rex billboard was spotted along Beverly Boulevard on July 19, the Buzz Lightyear creative snapped along Wilshire Boulevard on July 26 and the Mike Wazowski version was spied along Sunset Boulevard on August 1, 2012. 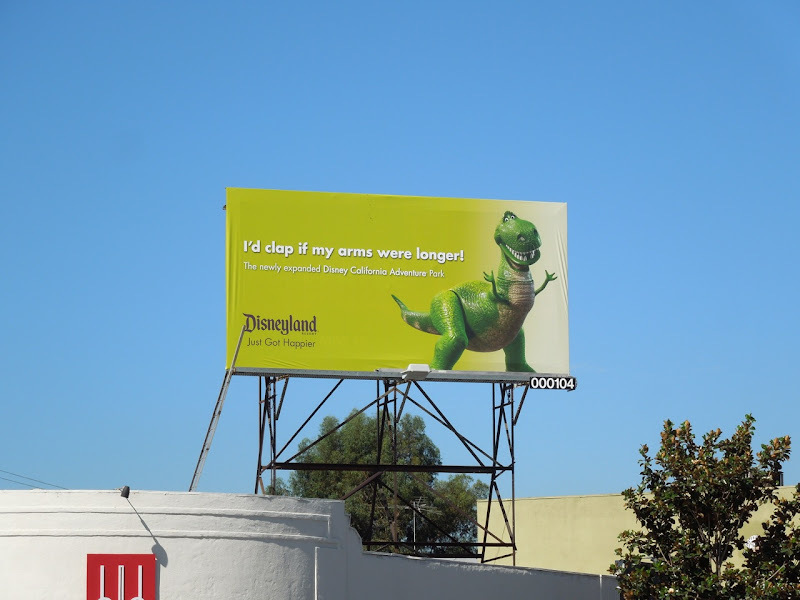 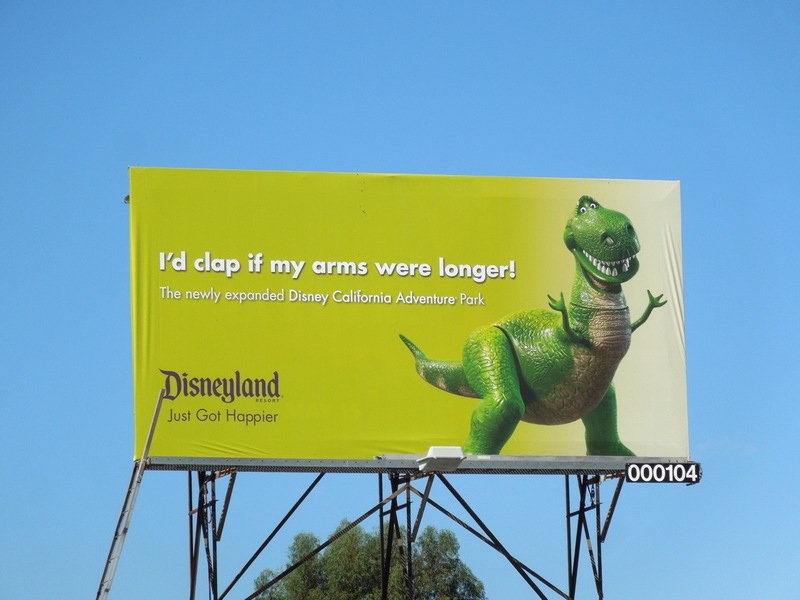 Daily Billboard will be sure to keep both our eyes peeled for more of these colourful and witty Disneyland creatives. 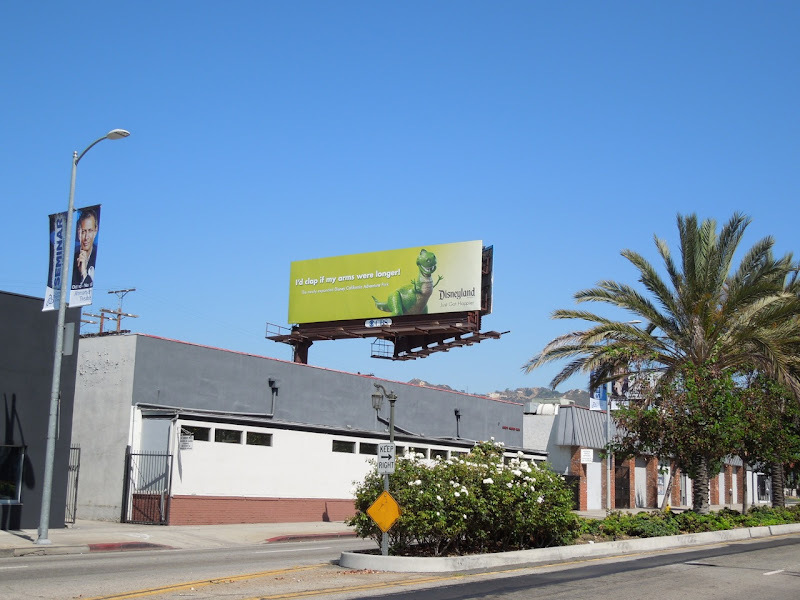 UPDATED: Daily Billboard hasn't spied any new creatives yet, but did manage to snap this joyful full-size landscape billboard of Rex in all his glory along Highland Avenue on August 15, 2012.